HIGH POINT — Attorneys for the Cedarbrook Residential Center in Nebo argued before an administrative law judge on Tuesday that an admissions ban at the facility should be fully lifted because a damning statement of deficiencies created by state surveyors was little more than a series of mischaracterizations. Administrative Law Judge Randall May, who is presiding over the hearing at the Guilford County Courthouse in High Point, granted a restraining order on Nov. 15 that lifted the suspension of admissions temporarily, but Cedarbrook’s attorneys are now asking the judge to remove the suspension order entirely. Attorney Joey Ponzi argued on behalf of Cedarbrook during the first day of the hearing on Tuesday. Lawyers from the state Department of Justice representing the Department of Health and Human Services Division of Health Service Regulation were scheduled to present their side Wednesday during a continuation of the hearing. The McDowell County Department of Social Services and state regulators conducted a survey of Cedarbrook in late September and early October that led to a nearly 200-page statement of deficiencies that cited the facility for alleged problems related to supervision of residents, medication administration, staffing and resident rights. The state suspended admissions at the facility on Oct. 23. Among the many allegations in the statement of deficiencies were that a resident was forced to lay on a soiled incontinence pad, that one resident with increasingly violent tendencies and another who had a history of drinking household products weren’t properly supervised and that residents were routinely not receiving proper assistance with bathing. 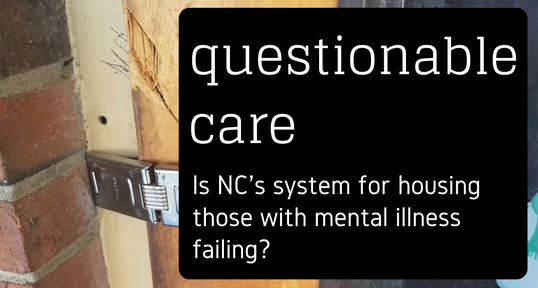 The 80-bed facility provides housing for adults with care needs, many of them with mental illnesses. During Tuesday’s hearing, Ponzi presented affidavits from residents, staff and medical professionals that he said contradicted many of the allegations in the statement of deficiencies. 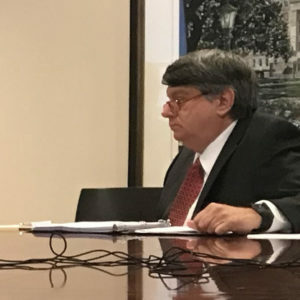 He also presented the deposition of DHSR Adult Care Licensure Section Chief Megan Lamphere, which Ponzi said showed that state regulations governing adult care homes were applied in an “arbitrary and capricious” manner in the Cedarbrook case. Ponzi accused the state of failing to “follow the facts” in the case that could contradict or mitigate the survey’s findings, of refusing to provide Cedarbrook with information about the nature of the violations that had allegedly occurred at the facility and of violating due process rules by relying on confidential interviews during the survey. Ponzi said regulators approached the survey with an inherent bias and that, as a result, the statement of deficiencies wasn’t a credible document. The late 2017 survey wasn’t the first time Cedarbrook has faced serious allegations from state regulators or the first time it sought relief at the Office of Administrative Hearings. In 2015, Cedarbrook was the subject of a statement of deficiencies that prompted a suspension of admissions and the imposition of a zero-star rating and more than $360,000 in fines. After Cedarbrook appealed that action before the OAH, the state eventually settled the case without either party admitting wrongdoing. As part of the settlement, the state eliminated the fines, withdrew multiple statements of deficiencies against Cedarbrook from 2015 and 2016 and created a new four-star rating. As of this week, the state had not yet issued a new star rating for Cedarbrook based on the 2017 survey.